We are entering a new era of green finance. An increasing focus on the environment has spurred global leaders and corporations into taking action to address climate change and our effect on the environment as we strive to continue developing. This transition into a greener, more sustainable future will present new opportunities for business growth and much needed investment into developing countries. This is where the green bond product has found its niche in the market. The Paris Climate Agreement galvanised commitments to green initiatives and technology across the globe. The resulting need for finance saw unprecedented growth in green bond issuance and interest in the past year. The Climate Bonds Initiative (CBI) reported more than 90 new issuers in 2016 and a doubling of green bond issuance from just over $40 billion in 2015 to cross the $80 billion mark. The market continues to mature and diversify with bonds from an increasing number of countries, bond types and issuer types. Demand also far outstrips supply amongst investors both with and without a green mandate. But the growth trajectory of the green market does not stop there. Many countries worldwide have re-affirmed their commitment to the Paris Climate Agreement. Specifically, we saw Apple reaffirming its commitment to the environment by issuing a mammoth $1 billion green bond. Meeting these commitments is estimated to require nations to spend nearly $1 trillion a year till 2035. We can expect more issuances from sovereign and sub-sovereign issuers as governments seek green investments to finance infrastructure development on a large scale. According to CBI, green bond issuance is projected to nearly double to $150 billion in 2017, and the OECD expect this to potentially reach between $620 billion to $720 billion a year in the near future. Despite the flurry of activities worldwide, ASEAN has been hesitant to venture into the green bond market. It is a cautious approach by an especially promising untapped region. Most of ASEAN is still undergoing rapid modernisation and is expected to grow at a robust rate of 5.2 per cent between 2016 and 2020, according to the OECD. Much of the region’s infrastructure and industry is also still under development which presents a rare opportunity to bypass traditional polluting, resource-inefficient technologies and practices for green sustainable ones. Therein lies a prime market for green bonds. The initiative to develop the ASEAN Green Bond Standards, for example, was a great first step in tackling the issues faced by the market. This was one point which garnered unanimous consensus amongst panellists at a recent Green Bond Conference in Singapore, organised by Standard Chartered Bank. Based on the International Capital Market Association’s (ICMA) Green Bond Principles (GBP), the standards is expected to provide consistency and transparency. They seek to provide more granularity to what constitutes a suitable project to be funded by green bonds, and will help to eliminate “greenwashing” — the practice of using proceeds from green bonds towards non-green purposes. The Principles will firmly set the standards for classification and information disclosure, which will go a long way to maintaining the credibility and integrity of this new market and help promote this ASEAN asset class to global investors. The Green Bond Grant scheme introduced by the Monetary Authority of Singapore (MAS) is another good example. 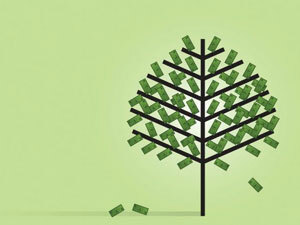 The scheme, aimed to offset costs of external reviews for green bond issuances, shows how policymakers can encourage the growth of green bonds. In fact, the Singapore market saw City Development Limited issue its first green bond — the first in Singapore to be precise — even before the MAS scheme came into play. This probably speaks much about pure market intent. These are all clear indicators that ASEAN governments have taken notice of the burgeoning green bond markets in neighbouring China and India, and are preparing their own markets. But more has to be done. Governments need to adopt the role of enablers, introducing policies on both demand and supply side, to promote market confidence and spur growth. Governments have traditionally played a role in directing capital to infrastructure investments for decades. Today, proven tools are readily available for policymakers to increase investment in green through the bond market. As for investors, the rationale for holding green bonds in your portfolio holds strong. Green bonds and conventional bonds are comparable in almost every aspect. But green bonds have exposure to various sectors with environmentally-friendly businesses, allowing investors to further diversify their portfolio. Increased transparency and accountability requirements due to the nature of the bond could provide an additional layer of security to the asset. As the world continues to focus on green finance, ASEAN will also become engaged. Policymakers play a large role in developing the ASEAN capital markets for green bonds, but issuers and investors also need to come together in a collective effort to develop the market. There is huge potential for the ASEAN green bond market for all market participants to capture.